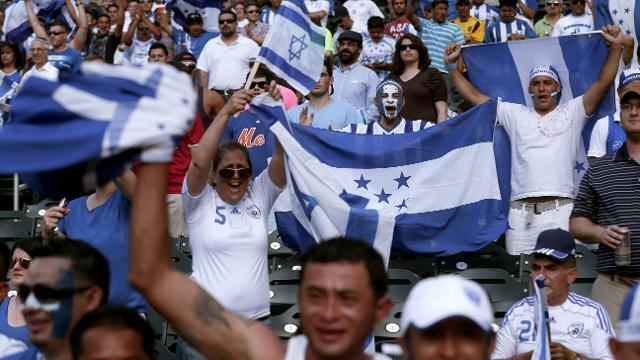 Honduras Football Fans – Page 6 – Following Honduras at the World Cup! Following Honduras at the World Cup! Brazil’s national team manager Luiz Felipe Scolari has said that he is extremely confident that his team can win the FIFA World Cup 2014, which will be held in Brazil. The former Chelsea manager was appointed as the Brazilian manager for the second time. He led the nation to World Cup success in his previous spell as the manager. Hence, there have been a lot of expectations this time around, but he is yet to taste success in three matches. Brazil have played against England, Italy, and Russia in three matches since Scolari took over, but he has been unable to win even a single match. The Honduras national team manager Luis Fernando Suarez has said that he is extremely delighted with the performance of his players after managing a shock 2-1 win over the United States. Honduras came into the match as one of the underdogs, but they were able to return away with the World Cup qualifying match finishing as a 2-1 squad for the home team. The Premier league club Wigan Athletic have had moved in to secure the signing of the Honduras midfielder Roger Espinoza. The 26-year-old has been signed from the MLS club Sporting Kansas City. Due to the fact that he now has a work permit to play in England, he is expected to be handed his first taste of English football in the FA Cup third-round match against Bournemouth. Wigan have had a lot of success with signing Honduras players with several from the past like Wilson Palacios and Maynor Figueroa having important roles at the club. The Honduras national team manager Luis Fernando Suarez has praised the abilities of the goalkeeper Donis Escobar by saying that he has all the capabilities to become one of the top players in his position. Jerry Bengtson was the star of the show, as Honduras comfortably beat Canada and secure a place in the next round of the qualifying for the 2014 FIFA World Cup in Brazil. Honduras managed to beat Canada 8-1 in the match, with Jerry Bengtson scoring a hat-trick. This was one of the best performances by the Honduras national team in recent matches. It is certainly not surprising because they came into the match against Canada unbeaten in the last four encounters. This will give them great amount of confidence when facing the likes of El Salvador and Panama in the next few matches. The Honduras national team manager Fernando Suarez has said that he has complete faith in the technical ability of his team ahead of the matches against Panama and Canada. Mitchel Brown has been called up for the national team and Fernando Suarez has backed the player to perform well in these two matches. The Honduras national team manager Luis Fernando Suarez has said that he has challenged his players that they need to look beyond the group stages prior to taking on Morocco. Honduras have come into the London Olympics with not a lot of expectations. However, they managed to give one of the favourites to win the gold medal of the tournament – Brazil – a major fright in the opening group match. As a result, Luis Fernando Suarez believes that the national team can build on this huge boost in confidence to aim at the prospect of playing beyond the group stages of the tournament. Stoke city manager Tony Pulis has said that he is extremely confident that Honduras midfielder Wilson Palacios will feel like a new signing if he is able to get his fitness in time for the start of the new season. Celtic star Emilio Izaguirre has said that he wants to sign a new contract with the club that will keep him at Parkhead for the rest of his career. The Honduras defender was previously linked with Manchester United before the transfer talks broke down. The ankle injury he suffered kept him out for a large chunk of the last season and it is thought that Manchester United would once again show interest in the 26-year-old. However, Emilio Izaguirre has revealed that he wants to stay at Parkhead for the rest of his career because he simply loves life at Celtic. The Honduras national football team booked their place in the Olympic tournament, which will be held in London during the summer. The London Olympics 2012 has been one of the most anticipated tournaments of the summer along with the Euro 2012. Mexico and Honduras have qualified for the London Olympics 2012 after winning in the semi-final for their region.